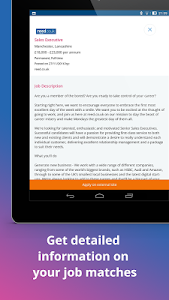 Apply to jobs in an instant with the reed.co.uk Job Search app. 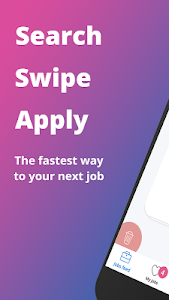 We’ll do the hard work and bring all the right jobs to you – all you have to do is swipe. No more irrelevant jobs. No more missed opportunities. No more excuses. Whatever stage you’re at in your career, we can help make your search for a new job simple and effective. Whether you’re a graduate looking for your first job, searching for an internship or you just need a part time job, we can help with that. 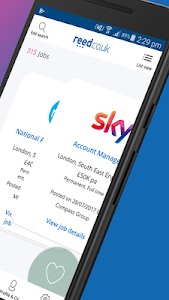 With over 280,000 jobs available in locations all across the UK, from London to Liverpool and Manchester to Birmingham, finding the right job has never been easier. 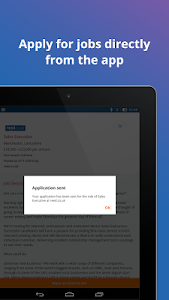 We’ll even send you alerts to let you know when new jobs have been added, so you can be the first to apply. 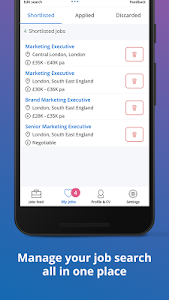 The reed.co.uk Job Search app brings you the opportunity to apply for jobs from some of the world’s leading brands, from Amazon to Ocado, Sky to Vodafone and Domino’s to Nike. If you’re a jobseeker, we’ll find the perfect company for you. Don’t just take our word for it, either. 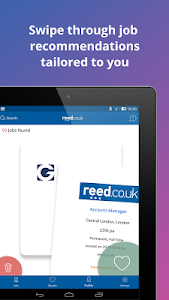 Over 1 million jobseekers have downloaded the reed.co.uk Job Search app in their quest to find work and search for jobs across the UK. So if you're ready to love Mondays, stop putting it off and start your search today. 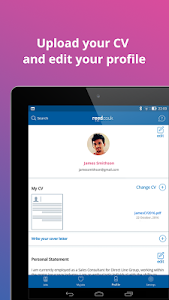 Search and swipe through graduate schemes in our stack view or scroll through summer internships in our list view. From Newcastle to Norwich, London to Leeds, you’ll find a job you love with the UK’s #1 job site. 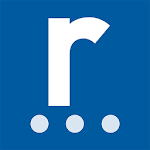 Take your career to the next level and download the reed.co.uk Job Search app today. Let us do the hard work for you, full time, part time, whatever opportunity you’re looking for, we’ll have just the right vacancy for you. 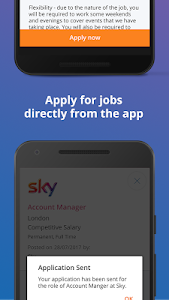 Search, swipe, apply, it really is that simple. 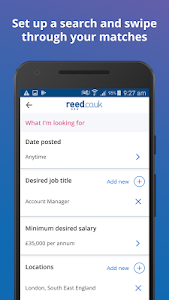 We're excited to release the latest update of the reed.co.uk Job Search app, with the most efficient version of the app, ever. 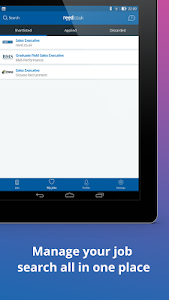 Fewer bugs, fewer crashes and more jobs. 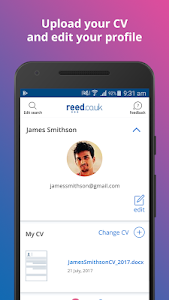 Similar to "reed.co.uk Job Search - apply to over 250,000 jobs"